“I’m obsessed,” my friend exclaimed during intermission at Godspell. I’m not obsessed, but I can’t stop thinking about the show and I’m in very strong like with the revival of this Stephen Schwartz musical. 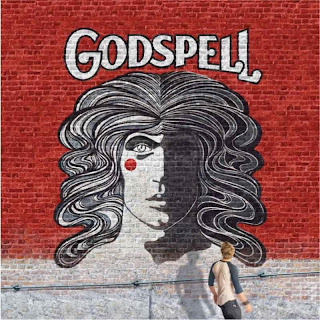 When I first met [composer] Stephen Schwartz and [director] Danny Goldstein…they described Godspell as the story of a group of people who, at the beginning of the show, can’t communicate… And then, through the course of the show and thanks to the leadership of one individual [Jesus], they learn how to talk to one another and how to get along regardless of religion, race or political party affiliation. That’s definitely something I can get on board with. And I did, in fact, get on board with that aspect of the show, as well as its Hippie ethos of treating one another with kindness, respect and graciousness. (The rag-tag feel of the production and the structure of the show (scant plot/dialogue, mostly songs) were very reminiscent of Hair.) My ambivalence comes in with the specific Jesus and God stuff. Granted, that’s my own struggle, and it won’t keep me from recommending the show, but it did keep me from coming fully under its spell. This is, I think, actually unfortunate for me because there are so many elements of the show and this production that I like a great deal. Circle in the Square is, as its name suggests, a theatre in the round, and I’ve now seen five shows in this theatre. Usually, each show has to make it work for the theatre. With this production, I think the theatre works for the show. This is possibly the best marriage of show and venue I’ve experienced. Because we’re all sitting around the stage, it feels like we’re all warmly embracing the players, and a part of us feels like a part of them. The disciples come out into the audience and engage with us; the band is seated among us; and some of us even get to go on stage and be part of the action. This all combines to create a spectacular communal feeling, which is perfect for this story of coming together. In addition, I really like that the cast look unlike most Broadway (or movie or TV) casts. Though it bordered on a Benetton ad, the (purposefully) multicultural cast is markedly different from your typical ensemble; and it isn’t all glamazon Rockettes or Adonises up on stage: Jesus’s disciples come in all shapes and sizes. Again, for a show about creating community, this casting helps audience members connect with and relate to the players and feel a part of something special. And let me tell you, dear readers, those players are incredible! Hunter Parrish (star of TV’s Weeds and a cast member of the final Spring Awakening company) stars as Jesus; Wallace Smith (once American Idiot’s Favorite Son) is his Judas; and the eight disciples are brought to life by Uzo Aduba, Nick Blaemire, Celisse Henderson, Morgan James (though she was out the night I saw the show; understudy Julia Mattison covered her track), Telly Leung, Lindsay Mendez, George Salazar and Anna Maria Perez de Tagle. I saw Parrish as Melchior in Spring Awakening and was unimpressed. I think this show and venue are a much better fit for the young actor. He brought a gentleness to the role that I didn’t expect. He has a decent voice, though it’s not particularly powerful, and he seems delighted to be reveling on stage with his followers. Standouts from the disciples are Leung, Mendez and Blaemire. Leung has great vocal range (plus he tickles the ivories at one point) and in one funny bit, shows off his impersonation skills. (It’s very funny.) Mendez is a spectacular presence on stage, wowing and winning over the crowd whenever she opens her mouth. And Blaemire (a Joe Iconis family member and Things to Ruin alumus) is charming and goofy. He, his great voice and his guitar skills lead the company in the 11 o’clock number, “We Beseech Thee,” the choreography (by Christopher Gattelli) for which handily uses a fun gimmick to thrill even this sometimes jaded theatergoer. 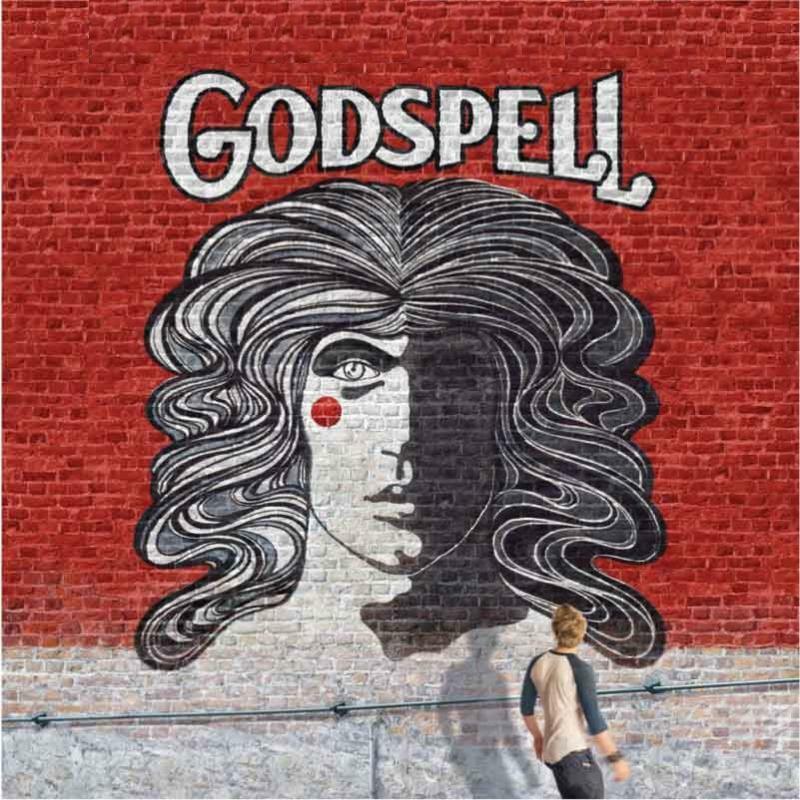 So, my dear readers, don’t get caught up in my struggle with the specifics of Godspell. Instead, become entranced with its message of being good to each other; be entertained by the pop/rock tunes; be blown away by the talented ensemble. Because, really, whenever there’s fun, spirited theatre being put on by passionate people, it’s "all for the best." Bonus: Watch the cast perform on Letterman! These guys and gals rock!! !